We live in Florida, which means along with the sunshine we also get tons of rain. Especially during the Summer month. Sometimes it is just impossible to go outside, it's either too hot or too wet. 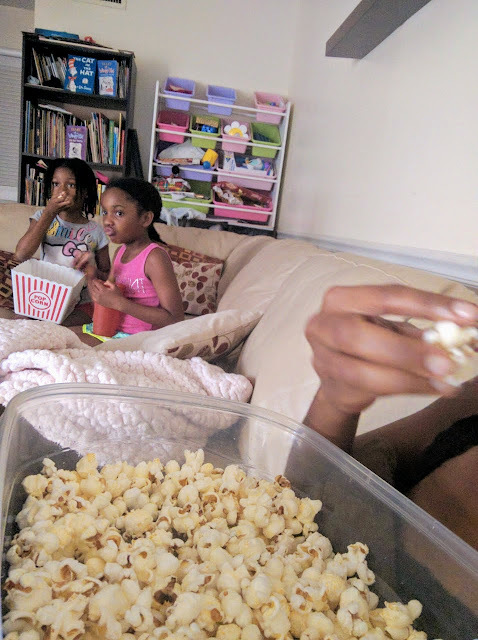 Somedays just called for a couch, popcorn, and movies. Finding a family friendly movie can be a daunting task. There's only so many time one can watch Moana, Zootopia, Trolls, and Sing! We've had a blessed year in the kid's movie department, family friendly movies release are usually scarce. This is why I love PureFlix! Pureflix is PURE clean family entertainment. Promoting family values, strength, friendship, and courage. Use this Link to get a month FREE of streaming, you can cancel anytime! Take advantage of the free month and you got your summer movie nights covered!